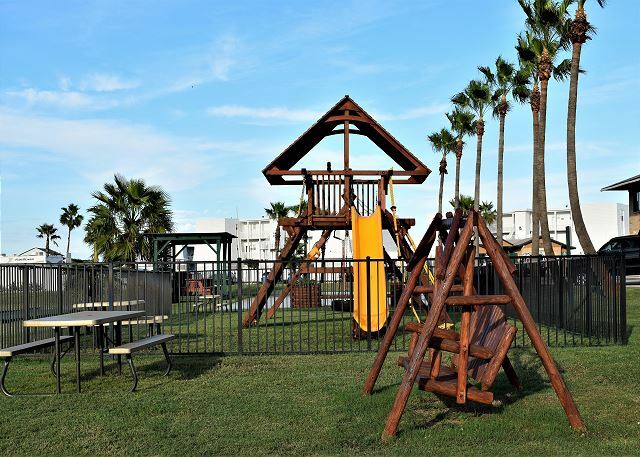 Sea Isle Village one bedroom one bath with 2 Queen beds full Kitchen, Living room and Dining area. Sleeps 4. Has WiFi. (No Pets Allowed). 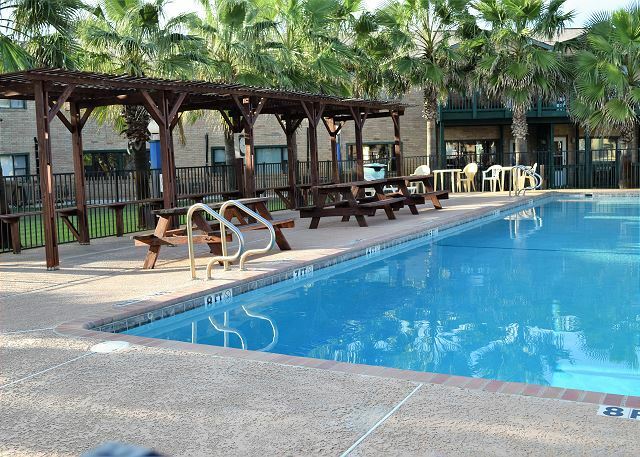 From the second you walk into our one bedroom condo you will be ready to kick back and relax. The open floor plan gives plenty of space for visiting and family fun time. The unit has a 40” flat screen TV that swivels around so no matter if you are dining at the table, cooking in the kitchen, or lounging in the living room you will never miss a minute of the big game. Off of the living room is a fully equipped kitchen with full sized refrigerator, stove, dishwasher, and garbage disposal. The kitchen is well equipped with glassware, plate ware, cooking utensils, pots, and pans etc. For your convenience, the unit has a toaster, microwave, and a coffee maker. 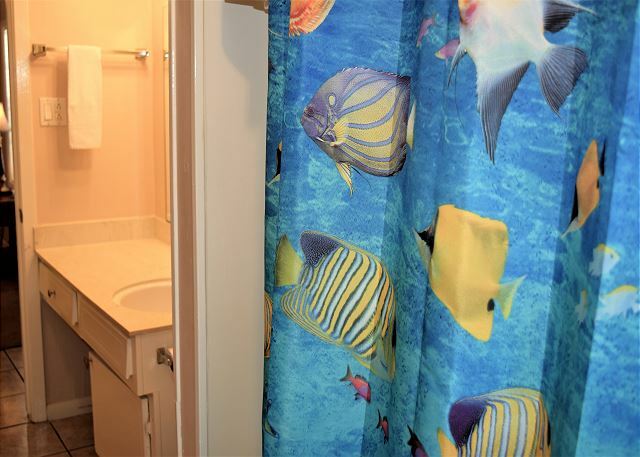 There is plenty of storage space in the hall that leads to the restroom and down to the bedroom. The bedroom (BR1) features 2 queen size beds which sleep four and a flat screen TV mounted on the wall. 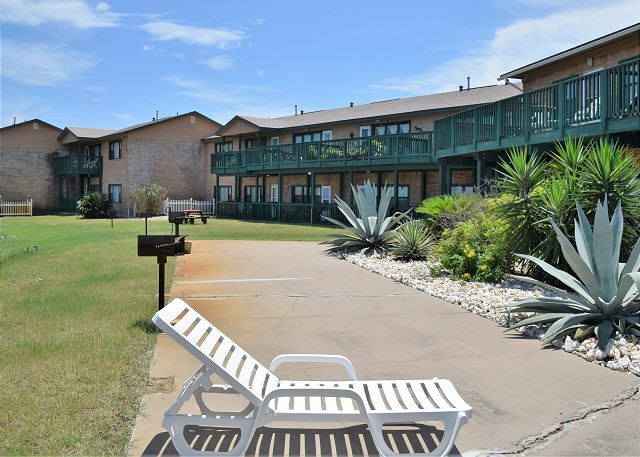 This one bedroom unit is located on the first floor facing the gulf and steps out onto a large shared patio area overlooking the dunes. 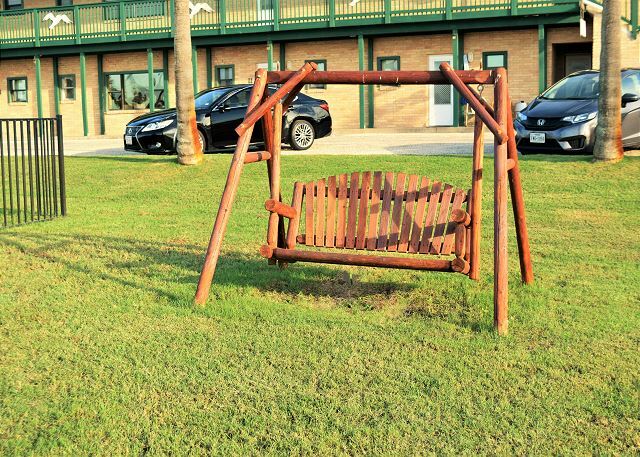 There are plenty of picnic tables and BBQ pits available for all of your grilling needs or just relax on our double swing. 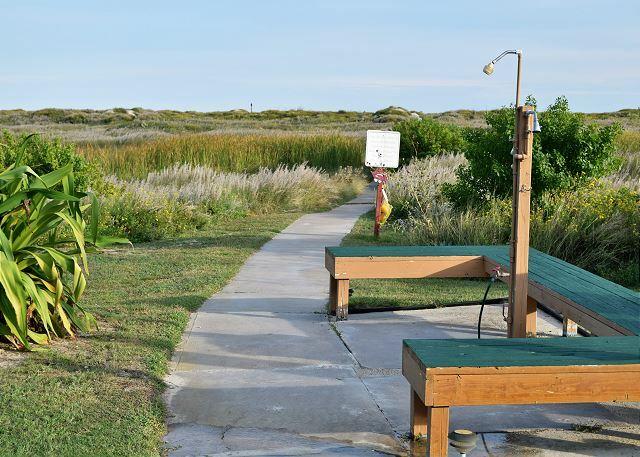 The beach walkway is conveniently located across the back yard leading to beach marker #3, making beach trips easy and effortless. 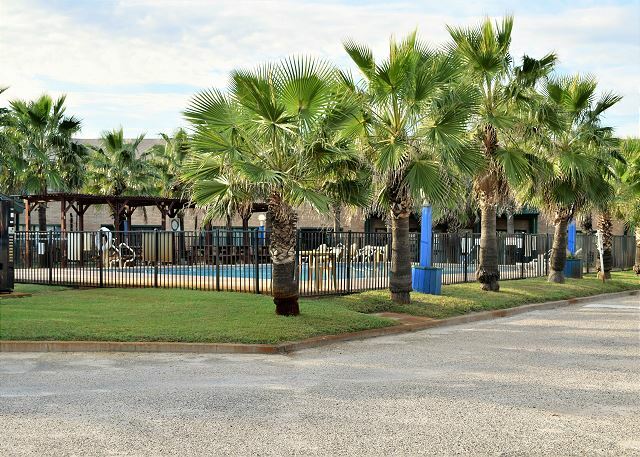 A friendly game of basketball, bocce ball, shuffle board or horseshoes is always a fun family time to enjoy. We enjoy sharing our condo for you to use, just keep in mind we are not a chain hotel. This was our first trip to PA and this rental was as advertised, easy to find and easy location for beach and city access. This location was perfect. It's a separate "house" in a condo villa. I hate hearing foot steps on my ceiling (or others hear my kids as they go bouncing). Convenient to restaurants, shops and OF COURSE the beach. Definitely plan to stay here again in the future. First impression when we drove up was not so good as the brick on the outside of the beach house we stayed in was stained and very unappealing. However, when we entered, we were pleasantly surprised. Although a little outdated, it was very clean, and the furniture was comfortable. It had everything we needed, including a wine bottle opener! As a valued guest, we appreciate your feedback and are delighted to hear that you had a great stay, and appreciated the comfort and cleanliness of the property. With a spirit to serve, we take great pride in not only meeting, but exceeding your expectations. We came from out of state & we're please to find a very clean well maintained place. Check in was a breeze & we had every amenity we needed to cook for two teenage boys. Very clean & nice. We will stay again! Hello, Thank you for the review. We are glad you enjoyed your stay at Life in Paradise and we look forward to seeeing you again. Follow us on facebook for future specials. All that I could ask for! Hello, Thank you for the review. Sea Isle Village is in a great location. Glad you enjoyed your vacation. We look forward to seeing you again. Follow us on facebook for future specials. Sea Isle Village is itself a bit outdated and worn, but the unit #47 was clean. The swimming pool was very pretty. The air conditioner didn't work, and they got it fixed the day we reported it! The beds were very hard and uncomfortable for me and my sister. There was only one dish towel and no dish rags, but plenty of towels/wash clothes for 2 people. The cable TV in both rooms were great, but shared 1 remote. 1 Kitchen chair was broken at the table. The laundry was located straight across from the unit which was awesome, and we never heard another resident! Overall, a fine place for those for it's price. We are glad you enjoyed your stay and have reported and fixed the kitchen chair.. We look forward to seeing you again this year..
Adorable place but really small. The stove caught fire and we have no paper goods others than 1/2 a roll of toilet paper. AC doesn't cool sufficiently in the Texas heat during the mid day time. Carpet were full of sand spurs. Not sure it had been vacuumed. Had a great time however. Thanks for the 2nd year staying in one of your units. Hello, We are happy you had a great time. The a/c has been looked at and is running properly.The stove has been fixed. Hope to see you on your 3rd year back. Condo was clean and comfortable. We enjoyed our stay. 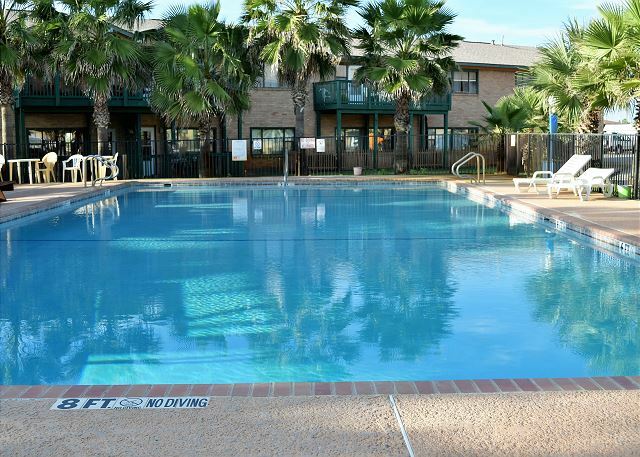 SIV has a beautiful pool, and the complex is very convenient to town, restaurants, shopping, and the beach. Hello, We are happy you enjoyed your stay. Look forward to seeing you again. Hello, Thank you for the review. We are glad you enjoyed the stay and look forward to seeing you again next year. We are so glad you enjoyed your stay and hope to see you all soon..
Hello, Glad you enjoyed your stay. Look forward to seeing you again. The customer service was great; prompt when one ceiling fan was broken, it was replaced next day. Very clean place, very pleased. Boardwalk is not exactly 100%, there's half way of climbing up and down the sand dune. We are very glad you enjoyed your stay. The sandy section of the Boardwalk is left this way for enjoyment of the beach ambiance. We look forward to your next visit. Very cozy. Clean. Near gas stations. Near main road to go shopping, restaurant s, grocery store. Did not use kitchen. Beds comfortable. The ceiling fan did not work in bedroom and no light. Had to open blinds. The couches were comfy. Had wifi. Picked location cause near beach and hardly stayed in room. Pool was big. Didn't like I had to go to a different location to get keys for room and had to return them also at that location. Overalll we had a good stay. We are glad you enjoyed your stay. Thank you for reporting the ceiling fan in the bedroom. We will notify the Owner. We apologize for the inconvenience of having to go to a different location to pick up and drop off your keys. 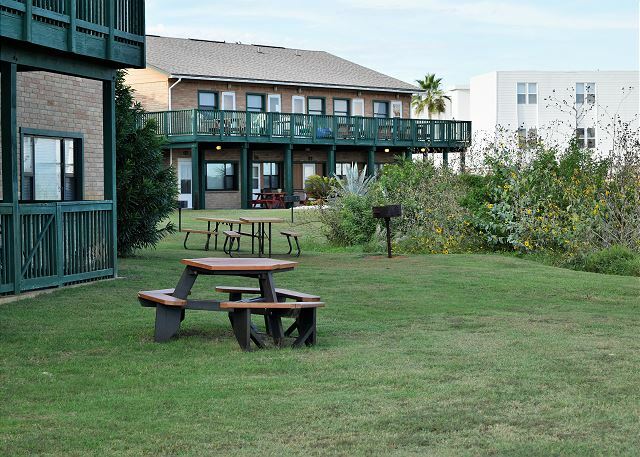 Since Sea Isle Village has a Rental Management Company that handles their reservations, one of the requirements is that the guests have to check in and check out at the Management Company's office. We hope to see you again soon. Very comfortable. Grandkids thought it was awsome! We are so glad you enjoyed your stay! We look forward to your next visit! Rental company was very nice and professional! the location of the property was great, but it's very cluttered, the out lay of the buildings. The units are extremely outdated and very over-priced for what you pay for, but very clean. Property grounds needs a lot of TLC, landscaping. We probably wouldn't stay here again. We hope you will call Life In Paradise for your next stay and try one of our other properties.. We have shared your Review with the owners.. I highly recommend this property, but would enjoy to see a "locked in rate" special for repeat annual guest as we frequent Port A several times a year. Had our own parking, picnic and grill. Yard if we had brought dogs. Pool was nice size. Liked the company that helped me.